Druids revere nature and draw power from nature itself. For them, nature exists in a precarious balance, and the four elements must remain in equilibrium. If one element were to gain power over the others, the world could be destroyed. Druids oppose those that promote one element to the exclusion of others. They can also assume an animal form and speak to other beasts when appropriate. Druids are generally on the defense, but can take an offensive role when they sense a threat to the things they protect. Stats range from 1-20, the higher the better and determine how well you will fare in certain situations. Steph's wisdom is paramount, supplemented by her wisdom and constitution. Wisdom – Steph is an old soul, and she brings other-worldly smarts to every situation. Wild Shape – Steph can assume a different shape at the drop of a hat: artist, photographer, producer, chef extraordinaire, etc. Intelligence – Organized and informed, Steph can systematically tackle any challenge. 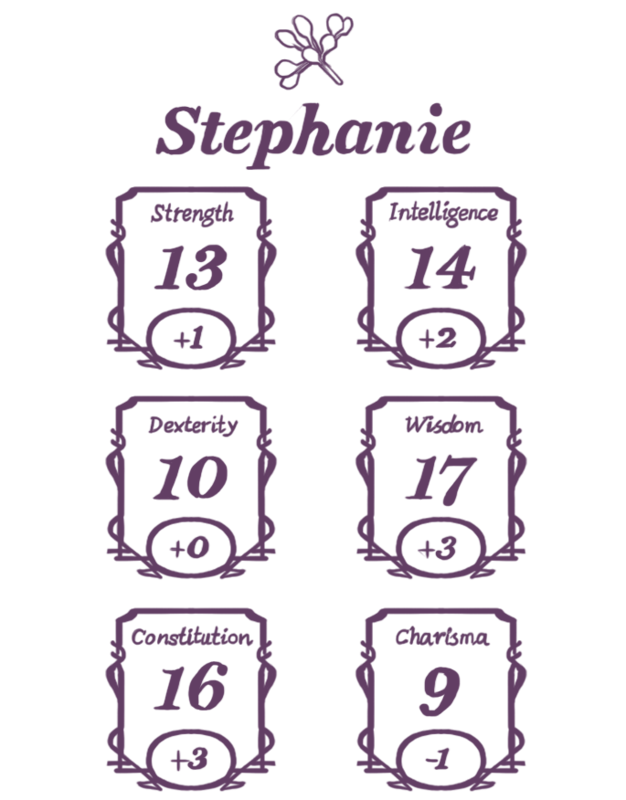 Stephanie is the champion of balance and equilibrium, cool-headed and calm with an ability to stand back from any situation and assess using varied lenses. She has a gift when it comes to flora and fauna in a very literal sense, with a passion and eye for floral arrangements as well as a soft-spot for her pup Turkey, but her oneness with nature also manifests in the form of wisdom and stability. She is the champion for the war, not singular battles, and always has her eye on the prize. Steph is also careful to make sure others don’t get left behind or trampled during any process. 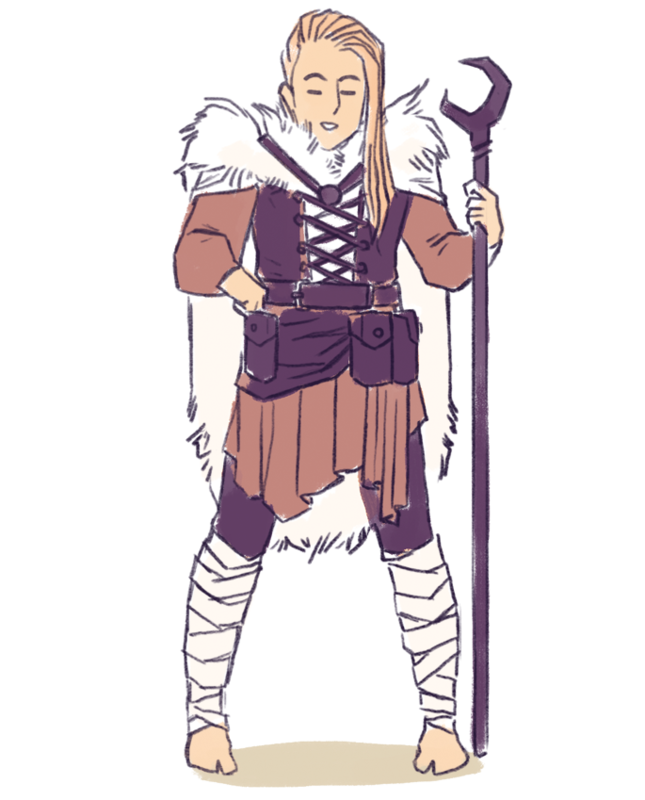 She is versatile and eager to help, assuming the form of whatever shape is needed. Dark secret: Steph has an uncanny knack for floral arrangement and holds a wealth of knowledge around the art form.